There is a new spot for TD® Visa Infinite* and TD Infinite Privilege* cardholders to kick back in style at Union Station. Introducing TD’s new TD® Visa Infinite* Credit Card Lounge at Union Station. 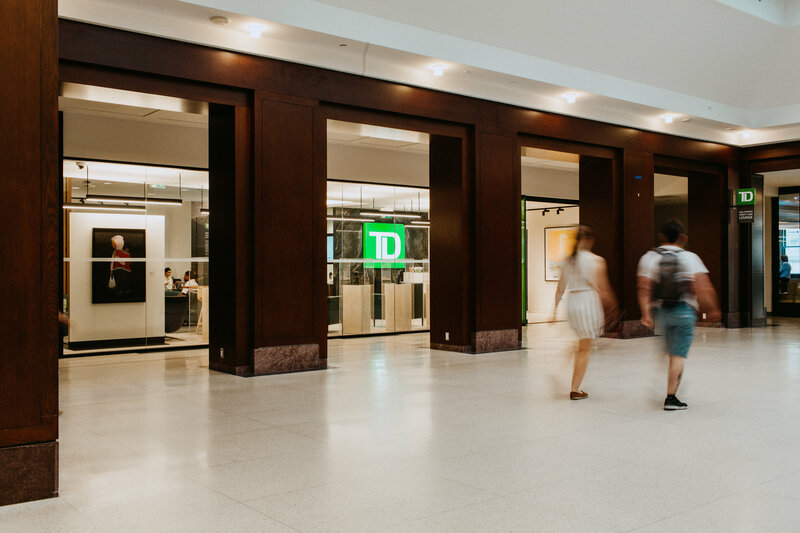 Located in the West Wing across from the VIA Rail Business Lounge, the lounge is an exclusive space where TD Visa Infinite* and TD Infinite Privilege* cardholders can go to relax and unwind while at the station. Whether you’re looking to quickly pop-in for Wi-Fi access during a commute, a quiet space to catch up on emails, or simply a comfortable spot to grab a complimentary beverage and snack, the TD® Visa Infinite* Credit Card Lounge creates a personalized experience to ensure all your needs are met. Some of the amazing features include complimentary self-serve snacks and drinks, charging stations, and multiple screens where guests can get caught up on TD Card benefits and train schedules. The lounge will also feature a rotating Inuit art collection to showcase some of the amazing works that TD has in its collection. The lounge will be available for use from 7am to 7:30 pm on weekdays and 9am to 5pm on weekends. Guests can check-in with the on-site concierge and can bring one guest in with them . This is another example of how, together with Union, TD is bringing services to enhance the commuter and customer experience.